When Dennis Chow joined TouchBistro in late 2017, the mobile restaurant point of sale software company had already risen to the top of its industry with 500+ new restaurants per month adopting the software and more than $100 million in venture capital raised. Chow’s task was to build a robust product team capable of accelerating the company’s already tremendous success and to operationalize the way that team interacted with the rest of the company. Chow sat down with Software Executive to share how he did this in just over a year. SOFTWARE EXECUTIVE: WHAT DID THE PRODUCT TEAM LOOK LIKE WHEN YOU FIRST JOINED TOUCHBISTRO? Dennis Chow: There were two product managers when I got here and a relatively small development team as well. A lot of the work the two product managers were up against was just blocking and tackling, really trying to figure out the most immediate thing within reach that we could do. SOFTEX: WHAT CONVINCED YOU TO JOIN TOUCHBISTRO AND HELP BUILD THE PRODUCT TEAM? Chow: There were two primary reasons, and I’ll start with the lesser-weighted one first. A mentor from very early on in my career said you always want to go where there are challenges because that’s a real opportunity for you to learn, for you to create things, for you to make your mark. Throughout my career, I’ve always looked for opportunities where things have been a challenge, and this idea of coming into TouchBistro and building a product organization was a very compelling challenge for me. The biggest reason around my attraction to this organization was actually Alex Barrotti, our founder and CEO. For an organization of this size, with 350+ employees and $100+ million in venture capital funding, to still have its original founder in place is very appealing. Alex is quite the visionary CEO. TouchBistro is not his first success story. I also knew of Alex with him being a very influential mover and shaker in the Toronto tech scene. I had a chance to sit down with him and to hear what he had in store for Touch- Bistro, how he wanted to evolve us from being an iPad restaurant point of sale system into a dominant force in the restaurant technology space as a whole. Hearing that story from him firsthand made me realize that a lot of what he talked about lies in the product. SOFTEX: WHAT DOES THE PRODUCT ORGANIZATION LOOK LIKE TODAY, AND WHAT ROLES DO MEMBERS OF THE TEAM PLAY? Chow: We’re a team of 19 now. We have seven product managers across the various product portfolios. One of the tenets of product management I believe in is the notion of our product managers really driving their particular portfolios end to end. We have product managers looking after the point of sale, the cloud, the back end, insights, our companion apps, integrations, and APIs, as well as hardware. "Shipping will always beat perfection every day of the week. … You will have to ship, and you will learn so much from pushing to production and seeing the reaction of your actual users. " We’ve also added a roster of product designers. They’re responsible for curating the look and feel, elements of UI and UX, of our features and functionality, what workflows look like, and what journey we’re going to take users along. There are four of them, and they’re led by a director of product design. We also have a group that I call our “product operations team,” led by a director. There are two technical writers that are tasked with all of our documentation. As we get ready to release, we want to make sure there’s internal readiness from both our sales and support groups so that they are comfortable selling and supporting the new features and functionality we bring to market. Our tech writers provide the detailed training documentation to enable this readiness of our teams. We also have testing managers in the product operations team. I’m a firm believer in beta testing and having a sampling of restaurant customers that we have a great relationship with that are gracious enough to test some features in advance. The testing managers are there to be that liaison and to observe and identify how our beta customers are doing. And finally, we added a data analytics person who provides our product managers and designers data to validate the assumptions we make. I really want this product organization to strike the right balance between art and science. There’s always going to be an element of “gut feel” involved in assumptions that we make. It’s important to complement gut feel with data-driven decisions. SOFTEX: YOU WENT FROM TWO PRODUCT MANAGERS TO A ROBUST PRODUCT ORGANIZATION IN LESS THAN TWO YEARS. ONCE YOU IDENTIFIED THE ROLES YOU NEEDED, HOW DID YOU GO OUT AND FIND THOSE PEOPLE? WHAT DID YOU LOOK FOR WHEN YOU WERE BUILDING OUT THIS TEAM? Chow: Alex and I wanted to make sure that we created an environment for the product organization that would allow for innovation. From that, we knew we wanted to create a team that would be allowed to run fast and make mistakes. We wanted the team to have the confidence to make a few wrong turns and learn from them. From there, in terms of profiles, I always try to have that balance in any product organization with people who are well-versed in the subject matter itself — in this case the restaurant experience — complemented with folks who are well-versed in the practice of product management. It’s also important to have a balance of people who have spent time in other parts of the organization at TouchBistro and are new to the practice of product management, along with folks who have experience in product management in other industries but are new to the restaurant technology scene. This cross-pollination allows everyone a chance to learn from each other. SOFTEX: WHAT DOES IT MEAN TO “OPERATIONALIZE” THIS NEW AND IMPROVED PRODUCT TEAM THAT YOU’RE LEADING? Chow: The two phrases we keep asking are, “How do you scale what you’re currently doing?” and “How do you make sure the things that you’re doing can be replicated?” For example, when we started building up the team, I recognized that it would be crucial to ensure we weren’t operating in a complete vacuum just spending our days contained to ourselves. Feedback would be essential. We are nothing without feedback. With respect to product feedback, I liken it to the four points on a compass: marketing, sales, customer success, and existing customers. Marketing — making sure we have a beat on what our competitors are doing, where the space is moving, and what people are saying. Sales — tapping into which prospects said “yes” to us, why they say “yes,” who else was in the running, and then, more tellingly, learning about prospects who said “no” and why they said “no,” and who they said “yes” to. Customer Success — collaborating with those who support our customers day in and day out, identifying how we can optimize and improve upon existing features and functionality (it’s not just about always chasing the next greatest thing). Existing Customers — going into their environment and getting feedback in a place in which they’re comfortable, and then also following up our conversations with some time to actually observe. You have to find time to observe how customers use your product. Then, as you start to normalize these meetings and get a regular cadence, you have to put structure in the agenda. You start getting out of the weeds of the dayto- day and start looking on the horizon, planning, and collaborating for the future together. SOFTEX: SOME SOFTWARE COMPANIES HAVE QUITE A BIT OF TENSION BETWEEN PRODUCT AND SALES, BUT THAT’S NOT THE CASE AT TOUCHBISTRO. WHAT’S THE KEY TO GETTING PRODUCT AND SALES ROWING IN THE SAME DIRECTION? Chow: One of the first interviews I had was with our VP of sales. I asked him what he and his team were looking for in a product organization. I’m a firm believer that if you’re in software technology without a strong sales organization, then you’re not going to survive for long. So, understand that as a first principle and then figure out how we can best contribute to the sales engine and how we can help our colleagues in sales do their jobs better. Because when they succeed, we all succeed as an organization. If your sales team are the troops going to battle, you want your product team to provide them with the ammunition needed to win those battles. We want to provide sales with the right ammunition to close every opportunity as effectively as possible. I also made a deliberate move when building the product team to bring somebody in from our sales organization (and also someone from our customer success team). I wanted that context in this team, for someone to be able to say, “Hang on, guys; have we thought through what the impact is going to be on my former department? I can tell you this is what happens on the ground.” That extra perspective has been absolutely crucial in ensuring the product group looks at customer problems as holistically as possible. "We are nothing without feedback. With respect to product feedback, I liken it to the four points on a compass: marketing, sales, customer success, and existing customers." SOFTEX: WHAT LESSONS HAVE YOU LEARNED THROUGHOUT YOUR CAREER ON PRODUCT TEAMS? Chow: I’ve learned shipping will always beat perfection every day of the week. You can spend all the time in the world, and you still will never have enough time to get that particular feature or that piece of functionality perfectly right. You will always have the opportunity to get more feedback and to tweak and to adjust and to tweak again. That is a never-ending journey, and if you put yourself down that path, you will inevitably never ship. You have to ship, and you will learn so much from pushing to production and seeing the reaction of your actual users embracing that functionality, or not embracing it, and you will learn on the fly. That’s something I try to promote to both the product team and our colleagues on the development side as well. You’re always going to have folks who think just a couple of things are missing, but inevitably you’re never going to get to perfect, and pursuing that perfection will take forever. A second lesson I’ve learned is to be tight and loose. Be very tight on the destination but be very loose on the journey. So, be razor sharp and understand very succinctly what your goal is, what it is you want to achieve, and what it is you want to do. But be very liberal with how you get there — and this is where that innovation comes into play in giving people the opportunity to make a misstep or two so they can learn. DENNIS CHOW is the VP of product management at TouchBistro, a mobile restaurant point of sale software company based in Toronto with 15,000+ customers in 100+ countries. 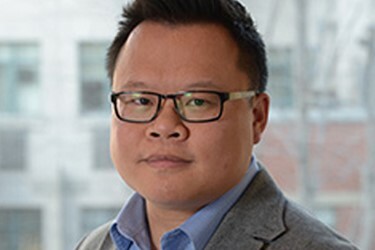 Prior to TouchBistro, Chow held product leadership positions at Nexonia, Intuit, Pivotal Payments, Sears Canada, TELUS Communications, and Rogers Communications.